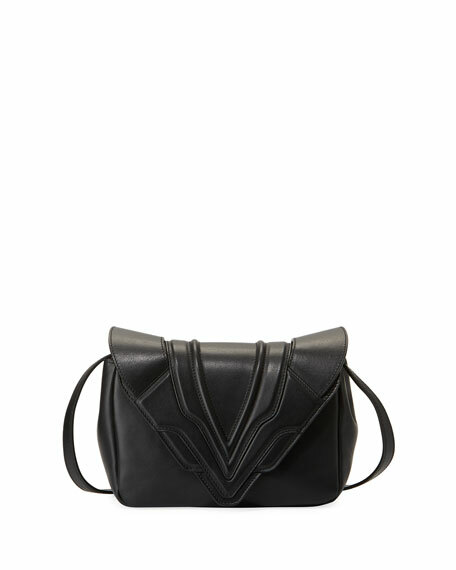 Elena Ghisellini paneled calfskin crossbody bag. 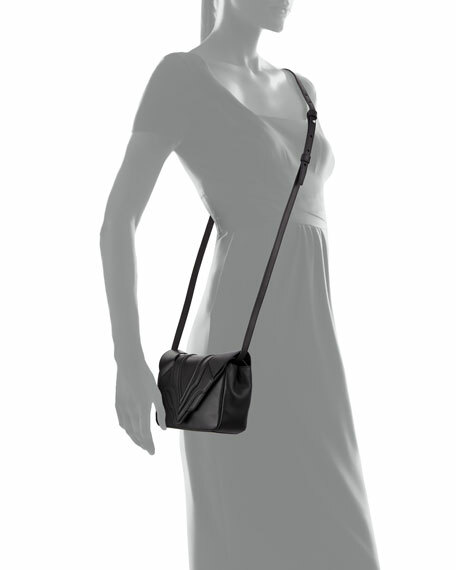 Removable, adjustable shoulder strap, 25.2" drop. Envelope flap top with scalloped edges; magnetic closure. Interior, polyester lining; one slip pocket. 4.3"H x 7.1"W x 1.8"D.
"Felix Sensua" is made in Italy. After graduating with honors from the European Design Institute in Rome, Elena Ghisellini began her career working for Trussardi and Salvatore Ferragamo before starting her own label in 2003. Ghisellini's modern, sensual creations are deigned to become a part of a women's life by becoming an extension of their imagination and personality. For in-store inquiries, use sku #2416006.